"It's very complicated to play with electricity," Bob Dylan said in the summer of 1965. "You're dealing with other people… Most people who don't like rock & roll can't relate to other people." But on Side One of this pioneering album, Dylan amplifies his cryptic, confrontational songwriting with guitar lightning and galloping drums. "Subterranean Homesick Blues" and "Maggie's Farm" are loud, caustic and funny as hell. 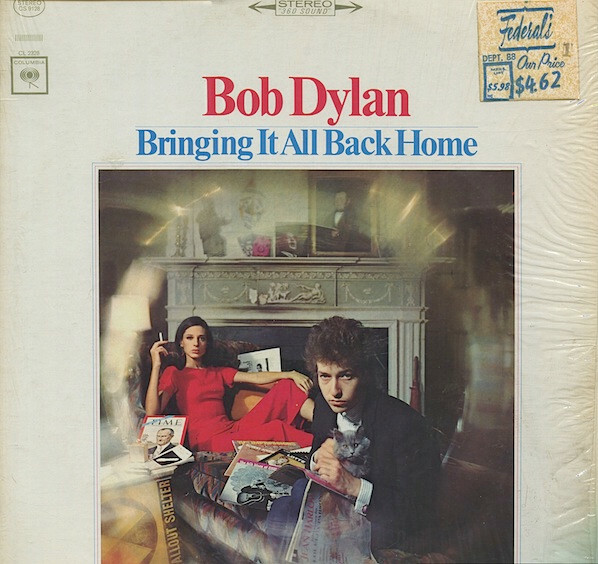 Dylan returns to solo acoustic guitar on the four superb songs on Side Two, including the scabrous "It's Alright, Ma (I'm Only Bleeding)" and the closing ballad, "It's All Over Now, Baby Blue," arguably his finest, most affectionate song of dismissal.